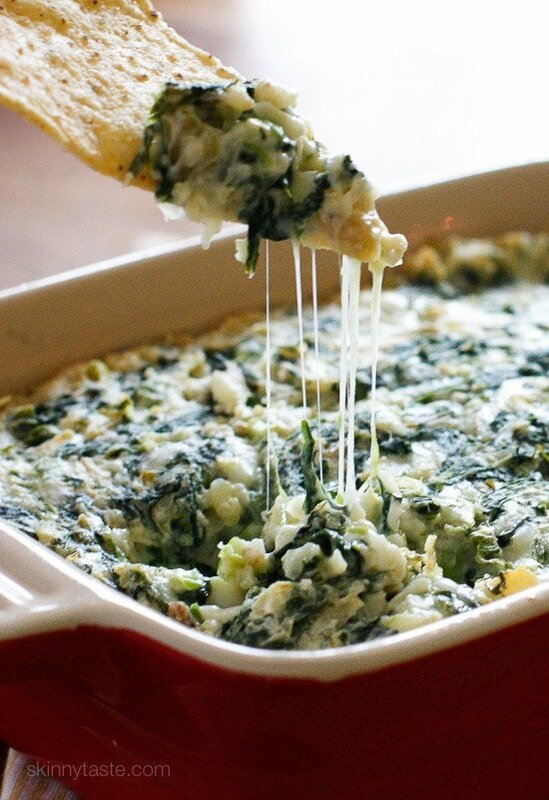 This easy, cheesy, Hot Spinach Artichoke Dip will be a hit at your next party, no one will know it’s light! A few more of my party app favorites are the Buffalo Chicken Dip, Mini Bell Peppers Loaded Turkey “Nachos”, and Baked Buffalo Chicken Jalapeño Poppers. To lighten this, I used fat-free Greek yogurt and half the mayo, which worked out great. Easy to prepare ahead then bake before your guests arrive. Can be made one day in advance and stored in the refrigerator before baking. For low-carb diets, serve it with mini bell peppers or carrot sticks. 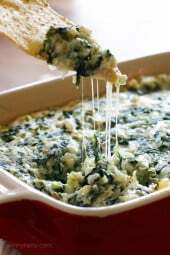 Place in an oven-proof dish and bake at 375F for 20-25 minutes, until hot and cheese is melted. Serve right away. Absolutely delicious!!! My 10 month old grandson who is just starting table food loved it too! !Think this could be frozen and reheated??? 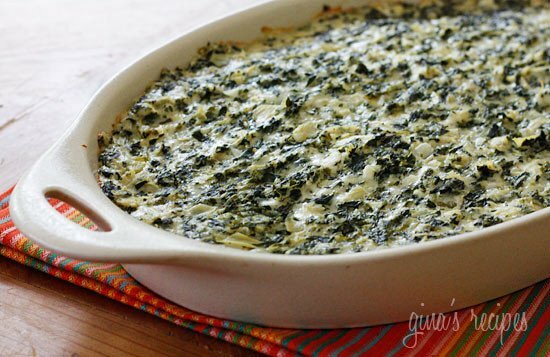 OMG I am drooling over this dip! Yum! If you truly want this low carb, use full fat of everything. I have made this 4 times already in the last 2 weeks. It is one of my families faves and is a great snack and wonderful over a chicken breast. I died and went to heaven with this recipe! OMG. . when your appetizer becomes dinner!! Sooo good! Made this as an appetizer for Christmas dinner – absolutely delicious! Worthy of a holiday meal! Fast and easy too! My new favorite appetizer for parties! This is awesome! Thanks, Gina! This may be a dumb question, but if i want to double the recipe how long yo I adjust the cook time? Not as good as the full fat version but I like the fact that it has less fat. I made this for my Super Bowl party. It was delicious! Our guests had no idea, this dip was Skinny. Delicious! I just made this, absolutely delicious! ! This dip is great! I make it all the time and EVERYONE raves about it – even all the young kids eat it up. Thank you for a fantastic recipe! This was good, but not creamy enough for my daughters taste. We added a block of Neufchâtel (reduced fat) cream cheese and that did the trick!!! Is there anything we can use in place of mayo? I didn’t see any responses on that. Do you know if I could prep this in a dish one day ahead of time, wrap it up, then bake it the next night? I recently made this for a get-together, and it was a huge hit!! Amazing recipe. I couldn’t get enough of this stuff. Thanks, Gina! Yummmm this is delicious!! I made it according to the directions (regular parm instead of parm-regg), then used it to stuff some mushrooms! I sprinkled the tops with some extra parmesan cheese then baked them at 350°F for 15 mins. So good!! 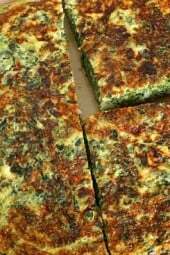 Can you make this with fresh spinach instead of frozen? 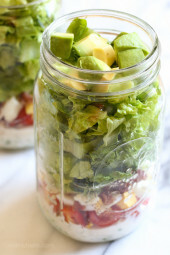 Seriously, every time I make this to take to a party or for when people come over, people think I am “having a splurge day.” No one knows this is a light, friendly version of an appetizer classic. It’s so creamy and gooey and delicious. And I will never tell. Thank you Brianna! This one is a fav of mine too! Does it really make 15 servings at 1/4 cup? Instead of the greek yogurt, could you replace w/ 1/2 cup light sour cream? Just wanted to let you know that I used this dip as a topping for a homemade pizza, and it was amazing! Everybody loved it! 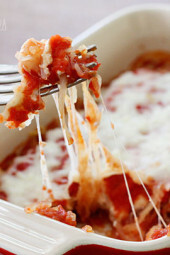 Can this be made w grated Parmesan instead parmigiana reggiano? And how much would I add? That should be fine, same amount should work. This is yet another fabulous recipe, Gina: In addition to its terrific taste and nutritional jackpot it appears more complicated than it is. I made it for a birthday celebration today and decided it will make the Christmas Eve rotation in three days. Thank you, Gina. I have not tried this in the crock pot. Pingback: one holiday to the next! I can’t findParmigiano Reggiano what can I use as a substitute? Made this tonight for my husband’s poker game & it was a hit! Gina, your recipes NEVER disappoint. This was delicious – served with pita chips. We added shrimp to the leftovers & re-baked for a main meal. Delicious the 2nd time around as well. I forgot to mention that I am "allergic" AKA detest mayo. So I drastically reduced the amount of mayo and subbed more greek yogurt. I haven't tried it yet with just greek yogurt. Ok I was the guinea pig/scientist. I made two batches and froze one. I lined the baking dish with foil and put the mixture in. Then I froze it. After it was frozen, I pulled the foil and dip out of the baking dish and rewrapped for the freezer. Then a month or more later, I pulled the frozen packet out, tore off the foil and put it back in the dish. I let it defrost on the counter. Then I cooked as directed. And it turned out perfectly fine to me. I am so happy because I am glad I can have an appetizer ready to pop in the oven on short notice. I would like to know how it would be cooking it from frozen. That will be my next experiement. Absolutely love this!! Just made it – delicious! Has anyone ever frozen this? I have a TON left over. This looks amazing! Though I hate mayo and never have it in the house…. Is it totally vital to the recipe or can I skip it or just replace with a bit more yogurt? Thanks in advance! This looks amazing! Definitely will make for Superbowl weekend. Can you suggest a good low point chip option? That is the tough part for me. I like to bake my own pita or tortilla chips! Super easy. I just buy whole grain pitas/tortillas and tear them apart and bake for about 10 minutes at 350 to crisp them up. You can add a little salt and oil pre-bake or leave them plain. Super yummy. can you make this ahead and freeze. then defrost and bake? I want to have an appetizer handy for last minute invites. I make this for Thanksgiving and Christmas because it's requested! It is so delicious. I make it with some homemade pita chips and everyone is super happy, thanks for a great recipe! Homemade pita chips! Recipe?! ???????????? Ce fut un vrai succès chez moi, tout le monde me demandait la recette. I love this recipe! I first made it in 2012 and keep coming back to it. I use leeks instead of shallot and seasoned salt instead of salt and pepper. Fabulous! I always serve it with tortilla chips because those are gluten free. Thanks for such a great recipe! Has anyone made this without the mayo? would something like fat free sour cream work in it's place? curious if there is a work around. What about low fat cream cheese? Does that make it healthy? I have made this twice now for parties. Everyone loves it and no one has any idea it is light. Thanks so much for this and all your recipes.